Make sure you get the right digital accounting software for you and your business. This handy guide points you to the best solutions. If you’re looking to get your office in order, there’s plenty of software out there to help. Whether you’re determined to sort your expenses, streamline your invoicing or start tracking your mileage, there’s a tailor-made solution. But with so many options available, how do you choose the best product for you? Not so long ago state-of-the-art accounting software came in a box. And while it’s still possible to find accounting tools ‘off the shelf’, these days online options make a lot more sense. Monthly subscriptions take less toll on your cash flow than a large one-off payment. Plus, you won’t have to worry about updating the software – that’s all done automatically with an online package. Looking for ways to save time? Working ‘in the cloud’ means you can access all your information anywhere, at any time and from any device. So instead of waiting until you get back to the office to check how much your clients owe, you can review everything on your phone or tablet. And when it comes to finding an accountant or bookkeeper there’s no need to be limited by geography. Flexibility is one of the perks of working for yourself, so choose accounting software that supports this. A good package should make it easy to email estimates or invoices when you’re on the go, using templates you can customise. If you’ve got multiple clients or various projects make sure you have access to a time tracking feature. And if you’re always losing receipts, a handy ‘snap and store’ feature will save a lot of stress. Online accounting isn’t just a matter of personal preference. HMRC’s Making Tax Digital changes mean that from April 2019, VAT returns have to be submitted online every quarter. For tax returns, you have a bit longer - until 2020. But you don’t need to worry as you’ll be able to import all the data directly from your software - just make sure the one you choose is compliant. To improve efficiency, linking your bank and credit cards to your accounts is the way to go. It’s really easy (and safe) to do this with QuickBooks online accounting software. You don’t have to enter any manual data as transactions are downloaded automatically, recognized and matched against your expenses and deposits. You can even customize the automated downloads you accept into QuickBooks, such as assigning payees and expense categories. Online banking is a really powerful tool which will help you manage your finances more quickly and easily. Small businesses are as individual as their owners. Whether you’re a one-man band or have several dozen staff, you’ll often fall under the same umbrella. Look for accounting software that offers a variety of packages to suit your specific needs. Otherwise you’ll end up paying for all sorts of features that aren’t relevant to your business, or missing out on things you need. It’s also wise to sign up for a free trial period before you commit. Worried about cyber attacks, and the consequences for your business? You’re not alone. 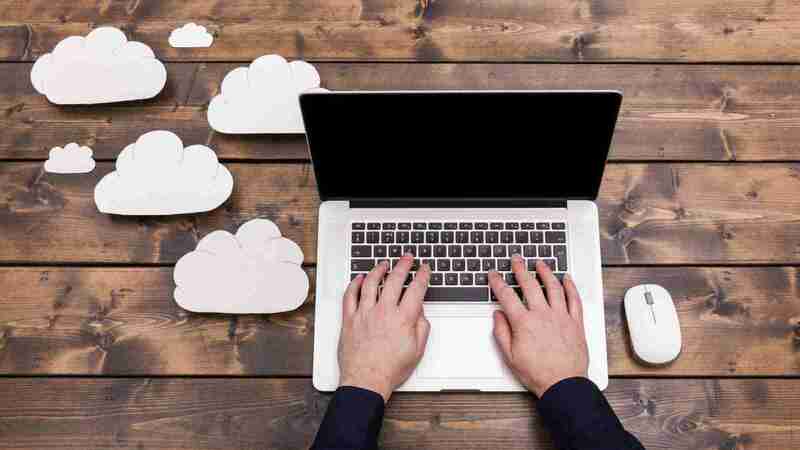 If you’re new to cloud accounting, you’ll be glad to hear that external servers are much less vulnerable in the face of cyber attacks than single servers. You’re safer in the cloud as data is stored in multiple locations, minimising any risk posed by fire or flood. Human error is eliminated too. As long as you do your research and use an established company with a solid reputation, your information (and your clients’ information) should be perfectly safe. What’s the leading software for small businesses? Still not sure which digital accounting software is right for your business? QuickBooks makes it easy to switch from other systems. We can help - with free webinars and online tutorials as well as classroom-based training designed to help you tap into every single time-saving feature. Most of our customers just login and get started, saving an average of 8 hours every month on their finances. And if problems do arise, our support team are available throughout the day (and night) to help. We hope you’ve found this guide to digital accounting software useful. It’s easier than it looks - QuickBooks are there to provide the simplest solution for you and your business. Try QuickBooks Online for yourself, free for 30-days, and see how you can save.